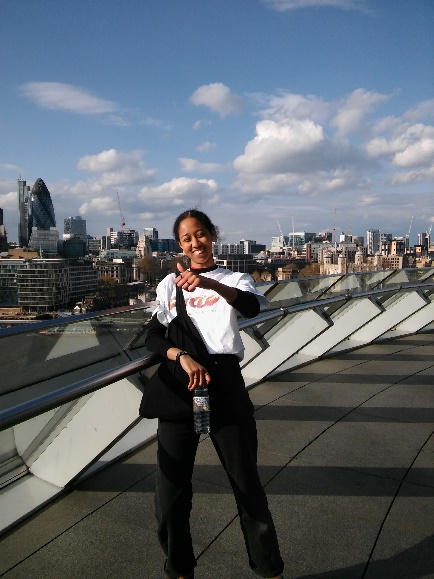 My name is Nee, I am 18 years old and have been a member of the Croydon Youth Arts Collective (CYAC) since it formed in April 2015. CYAC caught my attention because I wanted to get involved in my community and try to make a difference. I was fed up with the stigma attached to Croydon and how the young people are viewed. We have so much to offer: history, culture, community spirit and great people, and it is my home. CYAC, simply put, is a group of young people of all abilities from all backgrounds; we are all inclusive and welcoming. We meet in cultural spaces across the borough i.e. Fairfield Halls, Croydon Library, Council Chamber, to share ideas, research and communicate issues surrounding arts and culture. Our aim is to bring the youth together and engage them in these issues. We are overseen by Croydon Council’s Youth Engagement Team and Croydon Music & Arts and are fortunate enough to bring on board organisations to sponsor us, but to name a few A.N.D (A New Direction), L&Q Housing Association and Croydon Council. CYAC’s annual Takeover Festival is a youth-led event that celebrates creative organisations in Croydon such as SLiDE (South London Inclusive Dance Experience), The HERD Theatre Organisation, Syrus Consultancy CIC, Kinetika Bloco Croydon, The BRIT School, and so many more. We provide a whole day of events, performances and workshops for young people that are all free to take part in. These include heritage inspired carnival music, theatre performances covering diverse subjects from gang issues to mental health, films, spoken word, dance and various stalls promoting a range of services. The event of the day is the 'Panel Discussion' held in the Council Chamber where there are guest panellists. This year we had famous Youtuber Els Marshall and a promoter from Metropolis Music, both young people too. A member of CYAC co-chairing it with the council’s Creative Director too. The debate for 2017 was ‘How Can the Arts be Life Changing?' in line with this year’s theme: we wanted to get people to think about ‘how the arts can impact our wellbeing’. To plan the Takeover, we ran a summer 2017 'Intensive Week' to cover what our roles in the takeover would be from greeting to stewarding, the planning of our ‘Wellbeing’ theme, and what we wanted people to experience and gain from this event. We then met each week in the months leading up to the event. 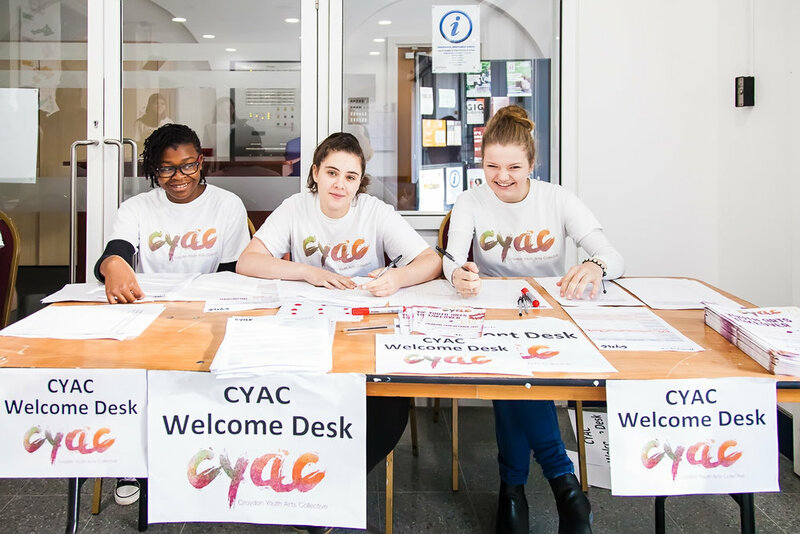 It felt like the keys had truly been handed over to the young people of CYAC. My role on the day during the Takeover was front of house 'meeting & greeting' the public and supporting volunteers. We recruited 15 young volunteers to support us on the day. I also participated in the Panel Discussion. I very much enjoy this event: the bringing together of strangers, the vibe throughout the building is fantastic, the laughter, the support and spirit of the community. We most definitely got our theme heard and understood. So many people of all ages and backgrounds struggle with such a wide range of issues and we were able to provide information and people to talk to. This year presented us with new challenges, some members left to go on to other ventures such as University. It put us in a position of having to recruit new members. Last year we were also told that our meeting place was moving due to the closure of Fairfield Halls; we struck lucky as Croydon Council offered us a space. From this we gained new skills which helped us even more in the preparation of the Takeover... not to panic, remain calm, plan and execute but remember to still enjoy. My hopes and aspirations for CYAC in 2018 are to bring more young people to the table, to encourage and keep their interest in arts and culture; to continue meeting new people of all walks of life and help bring them together through our events. a 'goodbye' from an original CYAC member! My name is Esmé Flinders, I am 18 years old, I was with CYAC from the start but am now moving on from the group. Being a part of CYAC and everything that it was about was a very good thing to happen to my 16-year-old self. CYAC, as a working group, officially began April 2016 when we launched ourselves and our mission statement. My beginning, in April 2015, began after I completed a survey on my Twitter feed, calling for young people to be “youth ambassadors for arts and culture in Croydon”. The first sessions I attended involved a consultation process where the link between young people in Croydon and arts involvement was explored. A report came out from these sessions, which I love to bits, I think it is so interesting. Over the years I have been with CYAC, three reports in total have been produced. The production of such reports excites me as it shows how live and growing and changing the focus of research is. Not only that, it has also encouraged me to consider such a career in my future. Consultations were one aspect of what being in CYAC involved. Attending contemporary youth events, organising an event, sitting in ‘adult’ meetings about the strategic aspect of CYAC, socialising. These are what compromise my CYAC experience, which on reflection is a broad range of activities, which no doubt brought along a lot of opportunities for me to improve my confidence and skills. Communication skills, teamwork skills, facilitating, meeting new people, engaging with the public, prioritising, commitment, determination, being driven… these were constantly practiced in CYAC sessions and I am grateful for that. Not only were ‘proper’ skills enhanced, but I would also say that there was a philosophical aspect to being in CYAC. A lot of meetings had a discursive element within them and our views as young reps of Croydon were always considered, be it through simplistic but revealing ‘temperature lines’, writing thoughts down on sticky notes, putting ideas ‘on ice’ to consider later in a more appropriate framework.... our input as representatives of CYAC was always allowed a way to be heard and was considered with care. Here I really tip my hat to all the CYAC ‘staff’ who perfectly execute these exercises where our voices as young people interested in the arts in Croydon are really heard. Lawrence, Celia, Jess, Izzy, Anthony, Charlotte, Claire! You have done great. CYAC has led me to consider and reconsider what words and terms and concepts mean to me, here are just a few: inclusion, community, gentrification, regeneration, advocacy, change, ‘hometown’, Croydon. I am going to university in September to study sociology and all these concepts are quite core to what I want my degree to be about. I believe that everyone should reflect on what these mean, what they should mean and I really think that conversations around these words as starters will always be enriching. I have experienced this first-hand at our ‘dissemination event’ for the first report and at our launch where we led discursive activities where young people, members of the public, councillors and reps for arts organisations were able to chew over these ideas. These conversations should really continue to be had and I am confident that CYAC and the Local Cultural Education Partnership will do this. 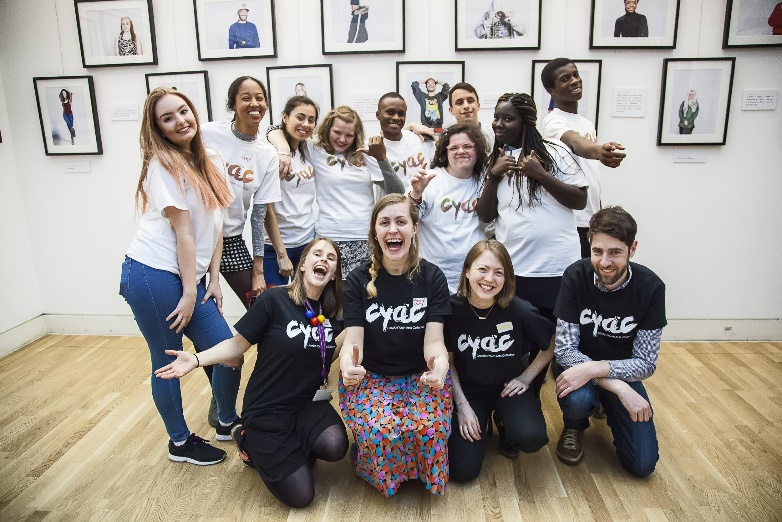 If you are reading this as a young person, and you are enticed by what I am saying I really encourage you to just bite the bullet, fill in an application form and join up to CYAC! It was the best spontaneous decision I ever made! I don’t think I can articulate just how much being on this journey has broadened my horizons, on so many levels. Two years ago I would declare that I loved Croydon, and my love for this place fed into a lot of the effort I put into CYAC. Today, I love Croydon, but as I leave my hometown for another place for university, I can look back with a rounded view of it as a place. All its difficulties, its prospects for the future, its past, its population, its rapid changes, its continued traditions… and this is really all thanks to CYAC. I have been able to hear perspectives of the council, I have been able to witness the executive decisions as made with Fairfield closure and the introduction of the Westfield development in the ‘Croydon Partnership’. If you think you know your Croydon, join CYAC and see if that changes and how it changes. It’s a really interesting process! It’s been a wicked journey. But now I depart from the CYAC choo-choo train which will continue to bigger and better things such as the Croydon Clocktower Takeover, October 2017!! !.